“What To Do About Abuse? 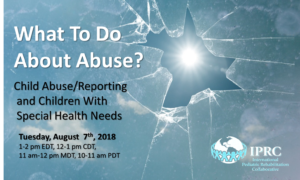 Child Abuse/Reporting and Children with Special Health Needs” was presented by Suzanne B. Haney, MD, FAAP, on August 7th, 2018. 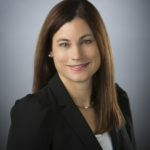 Dr. Suzanne Haney is a Child Abuse Pediatrician at The Children’s Hospital & Medical Center and the University of Nebraska Medical Center in Omaha, Nebraska; she also serves as medical director at Project Harmony, the local Children’s Advocacy Center. Dr. Haney is an Associate Professor at University of Nebraska Medical Center and is the medical director of the Children’s Advocacy Team at Children’s Hospital & Medical Center. Dr. Haney earned her medical degree from the University of Southern California and completed a Residency in Pediatrics at the Naval Medical Center Portsmouth in Portsmouth, Virginia. She spent 9 years as a physician in the Navy where she worked as a staff pediatrician at Naval Medical Center Portsmouth and as the Department Head of Pediatrics at U.S. Naval Hospital in Yokosuka, Japan. Dr. Haney completed her fellowship in Child Abuse Pediatrics at Eastern Virginia Medical School and Children’s Hospital of the King’s Daughters and is currently the only board-certified child abuse pediatrician in the state of Nebraska. Identify methods to prevent abuse/neglect in this population.